The new Hyundai ix20 Diesel Hatchback is an MPV trapped inside a supermini’s body. That sounds like it could – and should – never work, but Hyundai have pulled it off surprisingly well. For you the buyer, this means you benefit from the best of two worlds: This is a car that’s easy to drive and park in the city, and it’s also really versatile and practical. Hyundai was established in South Korea in 1967. Read more about Hyundai’s history in our summary. OSV takes a closer look at what it’s all about with our 2018 Hyundai ix20 Diesel Hatchback review. The best way to describe the ix20’s abilities on the road is “capable.” It’s not going to excite you, and it isn’t very agile, but it gets the job done. Like all good supermini’s, it’s easy to drive. And as long as your expectations aren’t too high, it’s also quite enjoyable to drive. Its steering is nice and light, visibility is fab and the elevated driving position is a bonus. If you want more than that and want to be entertained, you’ll need to look elsewhere. For example, if you take corners with too much enthusiasm with the ix20, its deficiencies will show and body lean will become a problem. Its suspension setup is otherwise good, though, and it smooths out poorer road surfaces well. Moreover, on the motorway, the steering has a bit more weight to it, and the car feels nice and composed. A 5 or 6-speed manual gearbox comes as standard. How many gears you get depends on which engine you go for. We like both variants and they each come with stop-start tech that helps to keep running costs down. The Hyundai ix20 Diesel Hatchback can’t be specified with an automatic transmission, however. In terms of its engines, there’s only one diesel available. This is a 1.6-litre unit that develops 115bhp and which has a 0-62 time of 11.5 seconds. It’s not especially fast but it feels stronger than its numbers suggest. It copes well with the car on a full load, and steeper ascents don’t pose it any particular problems. At motorway speeds, it even feels a bit relaxed, although it is a bit on the noisy side. This isn’t what you’d call a driver’s car, and passengers really benefit from that. The soft suspension ensures that the car does a good job of smoothing out poorer surfaces, although if you take corners too fast, the car can feel a bit uncomfortable. The diesels are a tad noisy when you accelerate hard, and this can harm insulation, which is otherwise good. Wind and road noise is well suppressed. The ix20 comes with a dashboard that’s very straightforward. Buyers will appreciate this layout that’s been designed for ease of use. The buttons are nice and big and easy to find, for example. In terms of overall quality, the ix20 lags behind some of its rivals. The plastics aren’t all that soft, although they are durable and should last a while. Is the Hyundai ix20 Diesel Hatchback practical? This is one of its biggest selling points. The wide opening doors make access a piece of cake, and once they’re in, passengers will find that comfort comes easy. The rear seats recline and slide forwards and backwards, while the driver’s seat comes with height adjustability. The steering wheel, meanwhile, is reach and rake adjustable. Lots of glass leads to good visibility front and back, and it’s very hard to argue with the sheer amount of space on offer inside here. Headroom is excellent for all, and legroom is satisfactory. We doubt even taller adults will be complaining, and if you really needed to you can fit three people in the rear. Storage solutions are what let the ix20 down a bit, with the small glovebox being the biggest disappointment. The boot is impressive, though, and measures 440-litres. Fold the rear seats and it extends to 1,486-litres. Are Hyundai cars reliable? Find out more in our unbiased and honest assessment of their reliability. Standard kit across the range is decent, with all models getting a 6-speaker stereo with MP3 compatibility, 16” alloys, rear parking sensors, automatic headlamps, remote central locking, electric windows and air conditioning. The SE Nav model throws in a reversing camera, sat-nav and a touchscreen infotainment system, while the Premium Nav adds a privacy glass for the rear windows and a panoramic sunroof. We don’t think it’s worth the extra cash, though. In terms of how safe the car is, Euro NCAP awarded the ix20 5/5 when it put it through its crash test paces. It scored especially well for child and adult occupant protection, but less so for pedestrian protection. Standard safety kit across the range includes ISOFIX child seat mounts, airbags, anti-lock brakes, electronic stability control and traction control. Prices for the new car start out from £15,195 and rise to £18,745. For more information on our leasing deals, you can check out our page here. In terms of its running costs, the 1.6-litre diesel – which is also the only diesel available – is the most frugal engine in the range. It returns 64.2mpg economy on a good day and emits 115g/km of CO2. This qualifies it for a BiK rating of 25%. If you fancy a petrol engine instead, the 1.4-litre petrol unit returns 50.4mpg at best, while the 1.6-litre engine can only manage 43.5mpg. The car is cheap to insure, with models ranging from groups 9 to 13. It’s a durable car that should be able to cope with what families can throw at it on the road. It’s surprisingly big inside for what’s essentially a supermini’s body. The sole diesel engine can manage returns of over 64mpg. It will find it hard to hold onto much of its value after three years of ownership. The engine would have benefited from a bit more oomph, as testified by a 0-62 time of 11.5 seconds. Let’s see how the car fares against its rivals in the comparison section of our 2018 Hyundai ix20 Diesel Hatchback review. 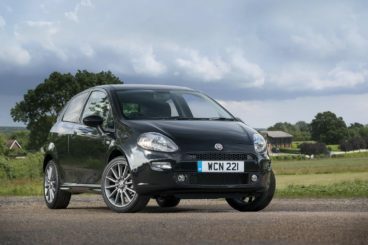 The new Fiat Punto Hatchback is a price-focused supermini that’s comfortable but ultimately dated where it matters the most. It looks modern enough, but the fact that it’s based on ageing technology means that you’re hardly going to have the time of your life on the road. It’s easy to drive in the towns and cities, where its light steering proves to be a big advantage, and it even works quite well as a motorway cruiser. Body lean is an issue in bends, while the 5-speed transmission is a tad on the clumsy side of things and can take any enjoyment you might have had out of the driving experience. In terms of its engines, there are now no diesels available. Instead, buyers can choose from a pair of petrol engines. The 1.2-litre unit is the smallest and cheapest in the range, but it’s only £500 cheaper than a bigger 1.4-litre engine. And considering how sluggish it is (0-62 is dispensed within 14.0 seconds), we highly recommend the bigger engine. It isn’t exceptionally faster or more powerful, but a 0-62 time of 13.2 seconds is a bit more acceptable. Running costs? Now that there’s no longer a diesel engine in the range, the 1.2-litre petrol is the cheapest to run. It manages returns of 53.3mpg economy on a good day and emits 124g/km of CO2. The 1.4-litre petrol engine comes with stop-start tech, but it returns 49.6mpg at best while emitting 132g/km of CO2. The biggest thing that harms the Punto where costs are concerned is depreciation. Expect to hold onto only 39% of the car’s original value after 3 years of ownership, which is below average. Inside, it’s easy for the driver to get comfortable thanks to a seat and wheel that offer lots of adjustability. Insulation is good too, as is ride quality. The dashboard is more functional than anything else, but Fiat have really improved the quality of their plastics so that it’s no longer as tacky as it used to be. Is the Fiat Punto Hatchback practical? 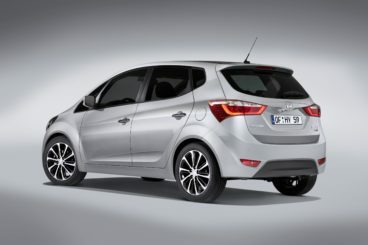 Its boot measures 275-litres, which is distinctly average and miles off the ix20. Fold the rear seats and that extends to 1,030-litres. Other than that, headroom is good for all, and two adults can sit in comfort in the rear. There are lots of storage spaces here and there, including a glovebox that’s bigger than the one in the Hyundai. The new Citroen C3 Diesel Hatchback stands out thanks to its quirky looks. As well as winning style points, the car is also comfortable and a decent all-rounder. Like most cars in this class, the C3 is more comfortable than sporty. Citroen have implemented a feature called Citroen Advanced Comfort, which has softened the suspension and made the car easier to use altogether. Overall, while the C3 won’t really entertain you out on the road, it offers a decent amount of driver involvement. In terms of its engines, the diesels are more expensive to buy than the petrol engines and only worth going for if you’re a high mileage driver. The smallest of the two available develops 74bhp and takes 13.8 seconds to cover the 0-62 dash. The biggest of the two adds a bit more oomph. It develops 109bhp which is enough to see it complete the 0-62 sprint in 13.8 seconds. Running costs? The 1.6-litre 74bhp diesel can return as much as 80.7mpg if you stick to the 15” alloys, and manages 78.5mpg if you upgrade to the 16” alloys. Both variations emit less than 100g/km of CO2 and qualify for a BiK rating of just 20%. The bigger diesel is economical too and can return 76.3mpg on a good day. Inside, the C3 is as funky as its exterior would lead you to believe. How it looks exactly depends on which “Ambience” you opt for, as there are different ones, and thus different colours to choose from. It’s also a user-friendly and comfortable cabin. The dials are easy to find and read, and the steering wheel offers height and reach adjustability. In terms of overall quality, however, the C3’s plastics aren’t as top notch as some rivals. 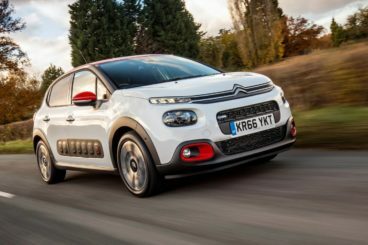 Is the Citroen C3 Diesel Hatchback practical? Citroen claim that the C3 has more interior space than anyone else in this class. We’re not so sure about that, but a big glass area certainly makes you think that that might be true. Other than that, two adults can fit into the rear seats without a problem, while three can just about squeeze in. The car comes with five doors, access is easy, and its boot measures 300-litres. Fancy a supermini-come-MPV? The Hyundai could be guilty of trying to be too many things at once, but the brand’s attempt at experimentation has come off. It’s stylish, versatile, roomy and affordable. 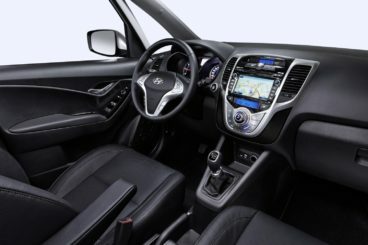 Buyers get the best of both worlds, with the Hyundai ix20 Diesel Hatchback compact enough to make parking a cinch but big enough inside to make it popular with families.